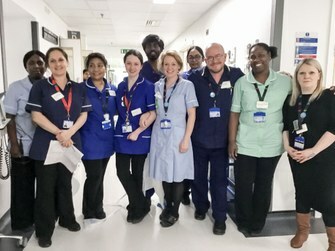 The Acute Assessment Unit opened in 2010 to provide rapid assessment, diagnosis and treatment of patients with urgent medical and surgical conditions. It also enables patients with acute conditions to be closely observed by an expert multiprofessional team, reducing the pressure on A&E. More than 40% of patients will complete their care within the AAU, thus maintaining continuity of care for many, and promoting specialty-based care for those requiring longer hospital admissions. Patients admitted to the unit will be seen by a consultant within 12 hours—the majority much sooner. The unit operates 24/7 and accepts patients from A&E, consultant clinics and by GP referral. The 54-bed unit incorporates 36 inpatient beds, 9 acute enhanced care beds and a 10-trolley bed assessment area. 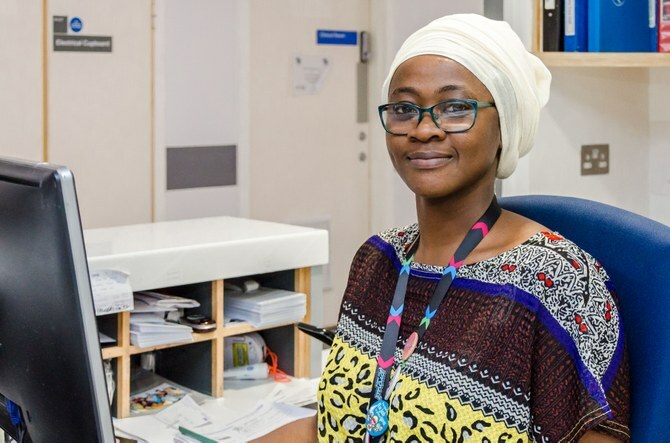 The AAU is staffed by a dedicated team of doctors, nurses, therapists, pharmacists and other allied health professionals so patients can access the most appropriate treatment as quickly as possible. 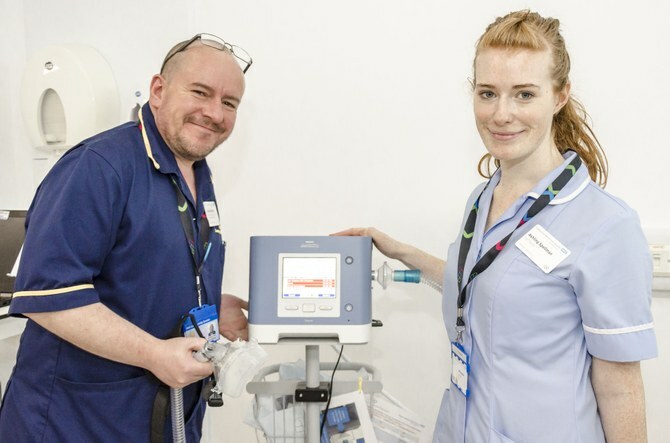 The unit also facilitates pre-registration training for nursing and medical students. Daily from 2–8pm at the discretion of the senior nurses. Please note: Children under the age of 12 are not permitted on the AAU. Featuring our busy Acute Assessment Unit, find out why Chief Nurse Pippa Nightingale thinks our Trust is an exciting place to build a career, supported by mentors and excellent access to education—to provide our patients with the best possible care. 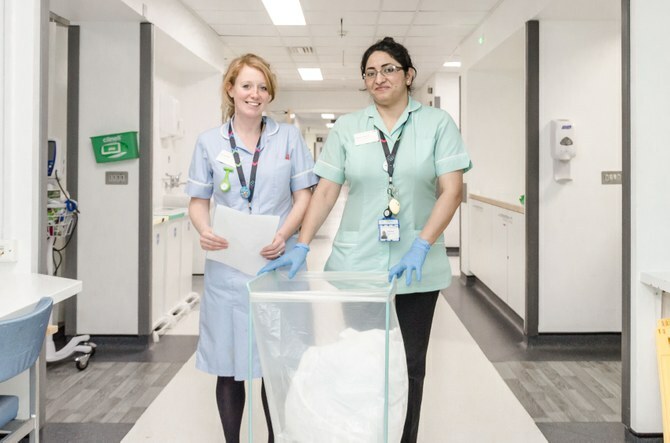 Staff Nurse Nicola Hearmon with Healthcare Assistant Naima Yaqoob—PROUD to care! 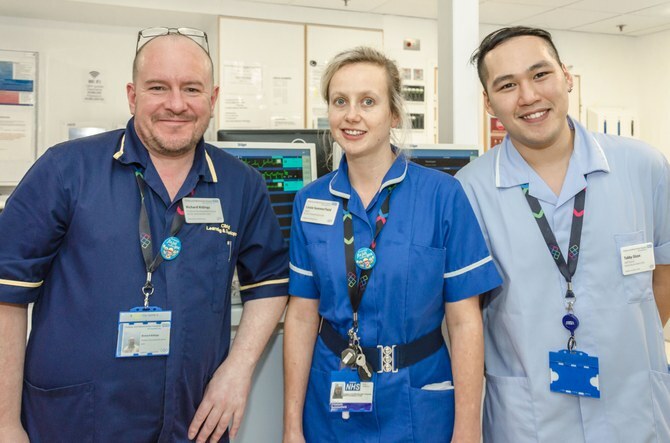 All about the team: Practice Development Nurse Richard Ridings with Sister Lizzie Summerfield and Staff Nurse Tabby Dizon—teamwork is paramount on AAU! Click the button if you would like to arrange for a volunteer to visit a friend or family member in hospital.